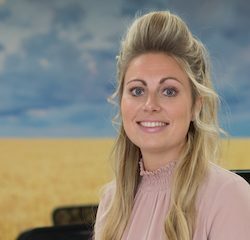 Winter sports tour operator Erna Low Consultants has invested in the marketing automation platform Force24, as the brand gears up for further growth. SAP today announced plans to enhance the SAP Marketing Cloud solution, introducing new “smart” capabilities to help companies focus on the best sales leads and increase customer retention. 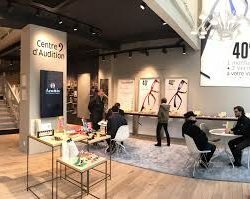 French optician Acuitis is rolling out its new store concept to more than 40 stores in the UK, with design, in-store communication, digital marketing and out-of-home advertising all through retail agency Blackdog. Emarsys, the largest independent marketing platform company in the world and Return Path, the leading global provider of email data solutions, are pairing up to enable marketers to reach more subscribers and increase conversions by helping to increase inbox placement. Rakuten Marketing today announces the expansion of the Rakuten Marketing Affiliate Network to local merchants in France. Having already established its publisher network in Europe, the addition of services to French advertisers further strengthens the EU footprint of Rakuten Marketing. 30% of outlet loyalty customers are responsible for 70% of loyalty spend, according to new data from Europe's leading provider of CRM and loyalty solutions for retail destinations, Coniq. The All England Lawn Tennis Club (AELTC) has opened its first pop-up retail shop at No.17 the High Street in Wimbledon Village, offering a range of official products to tennis fans between now and the end of The Championships. Pentland Brands, the company behind global brand names such as Speedo, Mitre, Ellesse, Canterbury, Endura and Berghaus, has launched its own in-house brand building academy.